If you have any questions about this product by National Door Company, contact us by completing and submitting the form below. If you are looking for a specif part number, please include it with your message. 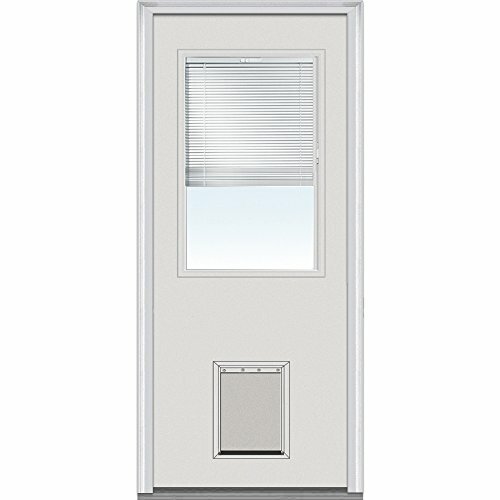 PRECISION SCREEN & SECURITY PROD 3853BK3068 Steel Security Door, 39 x 81-3/4"
National Door Company Z000794L Steel Primed, Left Hand In-swing, Prehung Front Door 9 Lite with Pet Door, Clear Low-E Glass, 36" x 80"